Hi, my name is Emily Wilford. I’m sixteen years old (and totally NOT the sassy teenager my mother claims I am). Hailing from Iowa, I come from a rather large (aka LOUD) family of six kids, of which I am the oldest. I have been homeschooled since day one, and love the hands-on learning that homeschooling provides! During the past few years, I have come to enjoy Latin, Shakespeare, and a wide variety of literature, as well as the meaningful friendships gained through my classes. In my (precious little) free time, I love to draw, read, and listen to music. I also enjoy camping, horseback riding, and ballroom dancing! Youth trips with my church are my favorite part of summer, and in the winter months, there is nothing better than to hide away with a good book and a warm blanket! This last semester, I enrolled in a writing course through True North Homeschool Academy. Titled “Writing Club for Awesome People,” this course has not only been beneficial but also a total blast! Every first and third Friday of the month, class commences with a unique creative writing prompt. Each student speed-writes whatever first comes to their mind. It is amazing how varied the responses are from a single prompt! Next, we dive into the lesson. We have studied a great variety of subjects, including (but not limited to): rhyme, sketch comedy, dialogue, setting, parallelism, and songwriting. This diversity has sharpened each point, as well as my writing as a whole. To wrap up class, a few students read whatever writing they’ve been working on during the week. They are offered both encouragement and critique, as well as suggestions and ideas. It is enormously beneficial having not only a captive audience but a skilled and like-minded one to listen to and assess one’s writing! There are four reasons why I have enjoyed this class. First, it has improved my writing skills- both creative and technical. Amid all the do’s and don’ts of good writing, tips and tricks are mixed in, all resulting in academic growth. The abilities I’ve developed over this short semester will stay with me for many, many years to come. Second, it has broadened my scope in creative writing. This class has encouraged me to try new styles and genres- I would never have thought to write a poem on my own! Third, this class has rekindled my love for writing. Often in my free time, I now feel the urge to elaborate and work on my stories- I had forgotten how much fun writing could be! Fourth, I’ve made some fantastic friends. It is so fun to be in a class with other middle/high school kids who love to write! They always have a book to recommend, encouragement to offer, and tips to suggest. In conclusion, I would like to encourage you to consider taking a course from True North Homeschool Academy. Gaining experience, making friends, growing in knowledge…what could be better? Interested in joining the True North Homeschool Academy Writing Club? Check it out here. Emily Wilford is a sixteen-year-old homeschool student. She lives in Iowa, which is always either really hot or really stinkin’ cold. She really likes a lot of stuff, so trust me, I’m sparing you by only listing writing, mythology, Tae Kwon Do, horses, procrastinating, theater, and gazebos. You can usually find her reading a book while hiding in her natural habitat (aka under a blanket), and if not there, she’s probably trying to wrangle her five siblings (it never works, btw). She loves to sketch and listen to music, too; it’s truly amazing she ever gets anything done! Also, she finds it really weird to write about herself in third person. As a STOA alumni and coach, I have been through multiple classes and curriculum on public speaking and speech. Although some of these courses are great to teach the basics from, there’s still something missing. I want you to imagine a high school boy who enjoys the sport of basketball. This boy shoots hoops in his driveway every day and watches every game of his favorite team. Maybe he’s even hired a personal trainer to help him refine his skills. After he graduates the boy goes to try out for a college he wants to attend, paid for by a basketball scholarship, but there’s one problem, he’s never actually competed in a game with a team. Obviously, he is not going to be very successful because as much as he knows about the sport, he has no real experience. Similarly, many students that study speech and public speaking have not had a platform to prove their skill set and receive needed critiques from judges. By competing against other students in their age group, students can test their strengths and weaknesses. Why Choose Competitive Speech for Homeschoolers? Competitive Speech may not seem like it’s necessary at all. Can’t a student give a speech to their parents, or local co-op, and improve based on those critiques? They can but only to a limited extent. Judges push students beyond their comfort zone in a way that parents and friends won’t. How well will the class push the students outside of their comfort zone? Until the student overcomes their fear of public speaking, there will always be an obstacle in their future. Ultimately competitive speech tournaments are the best at creating the real-world atmosphere that students will face in college and the workplace. This forces the students to have to get out of their comfort zone. Each student is different and some may love public speaking from the start. Even these students will benefit greatly from STOA Coaching and competition. You can find specific descriptions of each event at this link: https://stoausa.org/speech-events/. How can my homeschool student become prepared to compete in a STOA event? True North Homeschool Academy offers STOA prep specifically for homeschool students in our live (online) speech course. This course provides instruction and experience in preparation and delivery of speeches within a public setting. Emphasis is placed on research, preparation, delivery, and evaluation of informative and persuasive speaking. Upon completion of the course, students will be able to prepare and deliver well-organized speeches. They will have also developed the interpersonal skills necessary to be effective communicators in an academic setting. The True North Academy Speech club meetings will run the entire 2nd semester. The students will spend the first and second month learning the basics of speech writing and selecting which speech events they like the most. They can select up to 5 events to compete in for a NITOC modeled (aka qualifying) tournament. How do the STOA Tournaments Work? Tournaments are held in most states by local clubs, but each competition is a little different. Tournaments can have either speech or debate, both, or a combination of either. Tournaments will usually have a total of 6 preliminary rounds for speech events, and those rounds will be split into A and B patterns so that the events are split between the 2 patterns. This split means each student will compete three times in the preliminary rounds. These rounds are usually 2 hours long and preferably will have 3 judges per a room to ensure maximum feedback for the student. After the preliminary rounds, most tournaments will have out rounds(e.g. Quarter-finals, Semi-finals, and finals) depending on the schedule. For students to qualify for NITOC (Nationals) they must receive 2 “green check marks” from qualifying tournaments during the season. In order to get a check-mark in that event, the student must place in the top 40% of that event. This season NITOC will be in Dallas Texas from May 20-25 at Dallas Baptist University. Are you interested in learning more or joining a True North Speech Club? Find more information on our website or feel free to contact us with any questions. Do you use writing prompts in your homeschool? Writing prompts are a quick and easy way to get your student’s creative juices flowing. They can add an element of fun for struggling writers or give experienced writers ideas to expand their writing topics and style. Here at True North Homeschool Academy, we love writing prompts. We use them extensively in our writing club and our homeschools. Today we thought we would make your life easier by sharing six different types of writing prompts, as well as samples of each. Be sure to read all the way to the end to also grab some free student journal pages! Humorous sketches to get your creative juices flowing! “Fight the good fight of the faith. Create a recipe for a good life. Describe how to get to the Moon. Describe the beach and the ocean to a blind person. Pretend you are Beauty, meeting Beast for the first time. Interview the person who invented fire. Introduce your Mother to George Washington and record the conversation. You are a world-famous chef, cooking dinner for on a yacht for billionaires. What will you serve and how will you present your meal? You have won a trip on the first commercial space flight. Tell us about your flight and your crewmates. You have won a million dollars. You must spend all of it. Describe what you did with the money. So now your students are all ready to write. What do they need next? Paper of course! No worries, because we also have that covered. Check out our FREE printable student journal that’s designed just with you in mind. This printable comes with a wide variety of themes and can be customized to your needs. Print all the pages that you need. You can find it here. We at True North Homeschool Academy love to make your life easier, so please let us know how we can help you! You can contact us anytime. We are here to help you succeed on your homeschool journey. I am leading a Writing Club this year at True North Homeschool Academy and to say I love it is an understatement. I love words, teaching people how to use them effectively and watching the enthusiasm and joy young writers take in expressing themselves and sharing their creation. Happy Sigh. There is still time to join our fantastic writing club (we have new members joining us this week) but if you’d like to start a Writing Club where you are at, here is a simple format to get you started. First, set goals and time frames. Set goals for the group or have the kids set their own individual goals. In our group, our students set their goals for the year and then share their writing/reading goals (because writers are readers) for the time between now and the next time we meet. Set a clear structure for the club so the kids know what to expect and how to prepare. The very nature of a club is less structured than a formal class, but creating set time ensures that you keep moving forward and as many students as possible have a chance to read and share their writing. Start with a writing prompt. The kids love this time, regardless of age or ability. Set a timer- not too long, not too short- 5-15 minutes. Read the prompt and then let the kids write. No talking, just writing. When the timer goes off, give everyone time to read their response to the prompt. Where can you look for writing prompts? Then focus on skill building. I am a poetry writer, reader and advocate from way back, so I often bring in poetry forms and tropes as part of our skill building. Many great writers include poems and songs to develop their characters, and I want the kids to have these tools available to them. Other ideas include working on dialog, tropes, sentence structure and variations, plot devices, characteristics of genres, humor, applying literary analysis to one’s own writing and so much more! I usually allow for about 20 minutes on this section because I’ll present the skill and then give them time to work on it. Next, write and share feedback. Take time to have 2-3 kids share 5 minutes of their writing each week (the writing that they are doing on their own- apart from the writing prompts) and have everyone listen well. Then, allow the class to give feedback and assessment on the writing. I set clear parameters for the kids on this as our goal is to give each other constructive feedback and information that will allow each person to grow and excel as writers. I teach kids about the “sandwich” method of giving feedback (2 positives, one critique, one positive) and encourage them to find both strengths and areas of weaknesses in the writing- offering possible solutions. This feedback teaches how to give and receive feedback, simple literary analysis, and how to listen well. We also work on presentation skills, and the kids know that they’ll have to introduce themselves and their work to contextualize for the audience before they begin. Book reviews are also great! Because good writers are good readers each student shares a book they’ve read, gives a brief critique, what the liked or disliked about the book and gives it a 1-5 star rating. We’ll be publishing our books lists each semester, so stay tuned! Finally, have plenty of extra resources. For our Writing Club, I also make sure the kids know about resources like NaNoWriMo (National Novel Writing Month) as well as writing and reading contests. Our writing club has kids ranging in age from 12 to 17, some have written very little, and some have written a couple of books already. What we do have in common in a love of words and a desire to hone our ability to craft with words. Start a local Homeschool Writing Club, but if you don’t have the time or inclination, we’d love for you to join ours! (you can join any month of the year). Or, if you have a local group, we can work with you too. We are partnering with co-ops and class days to bring quality education TO you, regardless of where in the world you are! We have special prices for groups. And if you don’t see something you are looking for in our catalog, be sure to let us know – we can work together to make it happen! I discovered C.S. Lewis (affectionately referred to as Jack) years ago as a college Senior. I started with the Chronicles of Narnia. I’ve always been a reader who delves into a body of work, and then branching out to read about the author. The problem with C.S. Lewis’s work is that it takes time to mull, think, integrate, re-read and mull some more over My speed reading pace was slowed by deep thoughts and truths that C.S. Lewis demanded I pay attention to. After beloved Narnia, I branched out and discovered the Space Trilogy, Till We Have Faces, and The Great Divorce; some of my favorite books to date. Book mentors have held me in good stead in life and I have several. None can replace Jack however, and our family quotes and refers to his work often. Besides reading his books, we’ve read biographies about his life and watched movies about his books and the man himself. Jack has been a mentor and a friend to me, though I have lived in a different time and place, expanding my understanding of what it means to live life well. If you don’t have Literary Mentors of your own, I highly suggest it. These are people whose writings have influenced and shaped your way of thinking and interacting with the world. They may or may not be your contemporary, but you can engage with them via their writing. When I find an author I really enjoy, I tend to read their body of work. I often go well beyond that, reading about the author themselves, finding out about the time and place that shaped and formed them and their literary skill. Some of mine have been C.S. Lewis, Dorothy Sayers, and even Dr. Suess. If you can’t get enough of C.S. Lewis, why not join Amber Fonseca for a fantastic adventure this fall as she facilitates our C.S. Lewis club! She’ll be leading students (8th grade and up!) through the reading of both Surprised by Joy and Pilgrim’s Regress. If you haven’t yet discovered these two gems (or even if you have! ), you won’t want to miss the opportunity and learning that comes from interacting with challenging text and ideas in a group setting! Blended Learning is a fantastic way to create a more rich and engaged Homeschool high-school experience! Join our FB Group for a discount on Clubs! Check out more great on-line classes and opportunities! This club is designed to be a 1/2 credit +. Our 23 year-old is at Army Basic right now, training for the Nat Guard. Our only communication from him for several weeks, other than an awkward scripted phone call, has been writing and receiving letters. He has been faithful to write each one of us, and we have committed to making sure that we all write to him regularly as well. In doing so, I realized that as a culture, we don’t write letters anymore. My 15-year-old wasn’t even sure how to address an envelope. She wasn’t exactly sure what went into a letter. It’s been an interesting, eye-opening opportunity. When I was growing up, letter writing was what people did. I have letters in the attic from my grandparents, parents, sisters and friends. Both Grandma’s wrote in the same exact, tiny, beautiful cursive. I had pen-pals around the country, some were daughters of my Mom’s college friends, some girls I met at camps; some I wrote to for years. My mom wrote to my Gram each and every week on a yellow legal pad, dated, with news of her only grandkids, work and what was weighing on her mind. They still talked by phone regularly, but Mom’s letters got mailed every single Friday, and I know they were a special, treasured gift upon receipt. While most of us write emails by the tens, a hand written letter is a rare commodity in todays electronic age. Writing letters is a personal gift. This week, both the 18 year old and 15 year old spent over an hour thinking, mulling, writing, creating little doodles on letters, for their older brother. They didn’t write anything earth shattering but they did take time to tell him about our puppy’s latest antics, how the new trees are growing, about drama camp, and to remind him that they loved and missed him and summer wasn’t as great without him here. My daughter and I found a funny card to send him this week-end, and it reminded me of the quirky little MailGram’s I would receive from my Grandpa when I was little. A funny little stuffed doll, with a telegram and $5. I still have one of those little dolls in the attic, along with letters from Grandparents whose love and care for me I took for granted as a part of life growing up. I started thinking about how much history we have as a result of letters. Abigail Adams’ letters to John are legendary, and as a team that helped shape and form an entire country. Martin Luther King Jr rallied for justice, writing letters from jail, quoting Paul, letter writer extraordinaire, as evidenced by much of the New Testament. Dwight Eisenhower, nine years before he became president, rallied the troops as they fought against tyranny on D-Day by exhorting, “Liberty-loving people everywhere march with you.” My brother in-law has a letter from a President, framed and proudly displayed, as would I! And there are so many more. If letter writing is a lost art, I hope that you take a few minutes to revive it this week. Write a hand-written note to a friend, or relative, or a young Army recruit whose family doesn’t. Few people get mail anymore and the very act of writing in your own hand conveys time and care. How to get your kids started with letter writing? Determine who you will be writing. If you can’t think of anyone who would enjoy receiving a letter, contact your local nursing home, or church or contact Operation Gratitude. Talk about 2-3 things, 1 per paragraph. For instance, the weather where you are at, what birds or wildlife you are seeing, your garden, recent activities you have been a part of, what you are cooking, books you are reading, etc. Make it personal and engaging. Include humor or jokes if appropriate. Ask the recipient about how and what they are doing, share a memory. Have them sign their name. Talk about the importance of legibility. Sketches and neat doodles add to the personal aspect of the letter. Teach your kids how to address an envelope. Their address in the upper left hand corner, the recipients in the middle with which part of the address on which line as well as where to place the stamp. For inspiration, her are some works of epistolary writing (yes, it is it’s own genre!). Check out the Screwtape Letters by C.S. Lewis to begin with and then check out this list of letters from Presidents, and a great list of other books based on letters. We’ll be talking about the power of the pen, and letter writing in our Creative Writing Club this year! Designed as a ½ credit course, your student will have a lot of flexibility to spread their literary wings, while still developing their writing skill and style. The C.S. 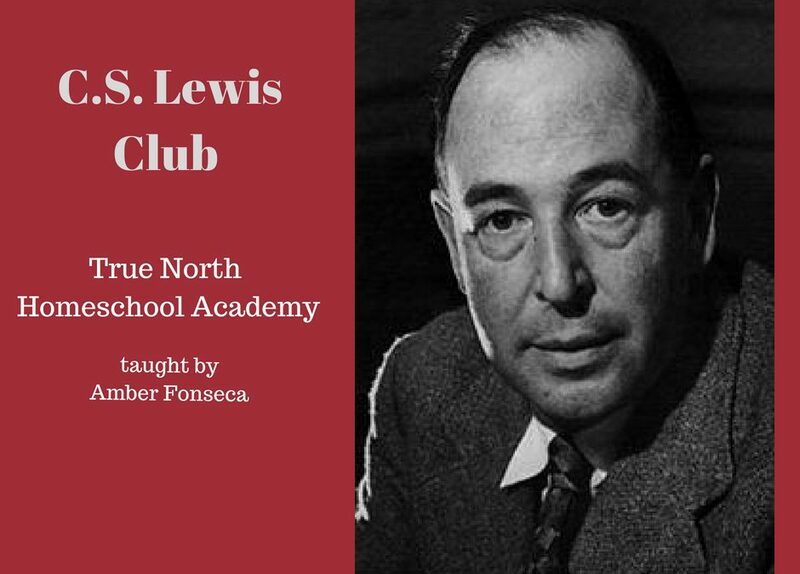 Lewis Club is designed as a half credit, 1 semeseter class that will delve into lesser known works of one of the great writers of our time!